There are some major –Bays out there in cyberspace: you’ve got your Pirate Bay, your eBay, and now even your BitBay. We don’t have to point out just how many Bit-somethings there are at the moment. And BitBay is looking to become a major Bit-something, far from the illegitimacy of the pervasive, yet frowned upon Pirate Bay, and much closer to eBay’s worldwide success and reputation. We’re starting off by covering some basic info when it comes to BitBay, just to give you an idea of where the exchange comes from and what they stand for. Keep reading, we’re glad to have you with us. There’s no point in wasting valuable time on useless comparisons right now, since we’ve got a separate part of this BitBay review just for that. The whos, the whats and the whys come first, so let’s start ticking off the boxes. BitBay is a Polish exchange, and the Polish have been known for doing a lot of things right – you’ve got Chopin, Curie, Conrad (all C), Wojtyła, Polanski… And nowadays Poland is a booming economy and a haven for entrepreneurship and tech startups. Only in gaming, you’ve got the Intel Extreme Masters eSports tournament in Katowice and CD Projekt Red, creators of Witcher 3, the best video game in the world (you can debate us on this one). Since this is the greatest cryptocurrency exchange in Poland, a country with 38 million people, it has a large user base as a foundation to build its global brand upon. All in all, reaching a global audience shouldn’t be that hard for this company, considering the fact that it is already halfway there. BitBay is one of the oldest and largest cryptocurrency exchanges in Europe. It supports three fiat currencies: the Polish złoty (PLN), the Euro (EUR) and the US dollar (USD). There are currently 25 trading pairs available here, with users being offered a chance to trade several cryptocurrencies in exchange for the three fiat currencies and Bitcoin (BTC). The cryptocurrencies you can trade are: Bitcoin (BTC), Bitcoin Cash (BCH), Litecoin (LTC), Ethereum (ETH), Lisk (LSK), GameCredits (GAME), Dash (DASH) and Bitcoin Gold (BTG). As we’ve said, you can trade either of the 7 altcoins for BTC or 3 fiat currencies. Just think about it as Snow White and the seven dwarfs, but with cryptocurrencies. The total trading volume on BitBay over 24 hours is around 2,100 BTC or close to $24 million. A bit more than 50% of the trade volume belongs to BTC/PLN market, the largest market for trading Bitcoin for Polish złoty in the world. The exchange has been operational since 2014, and is now the biggest cryptocurrency exchange in Eastern-Central Europe. However, BitBay is not focusing exclusively on Poland and the surrounding countries. In addition to its main office, the company runs two more offices: one in Amsterdam and another one in New Delhi, India. It entered the Indian cryptocurrency market in late August last year, becoming the first exchange in India to offer altcoin trading. Now that we’ve got all of that covered, let’s say that’s enough of geography and history for one day. Don’t miss the next part of our BitBay review, where we take a look at the exchange account and the various features users can access. First things first. If you want to trade here, you’ll have to open an account. Opening the account is free. You can open an account without extra verification steps and without the need to provide government-issued documents and photo IDs. However, BitBay does offer you the option of verifying your account, which allows you to access some additional features. One of the company’s major selling points is the BitBay debit card, issued and co-branded by MasterCard. 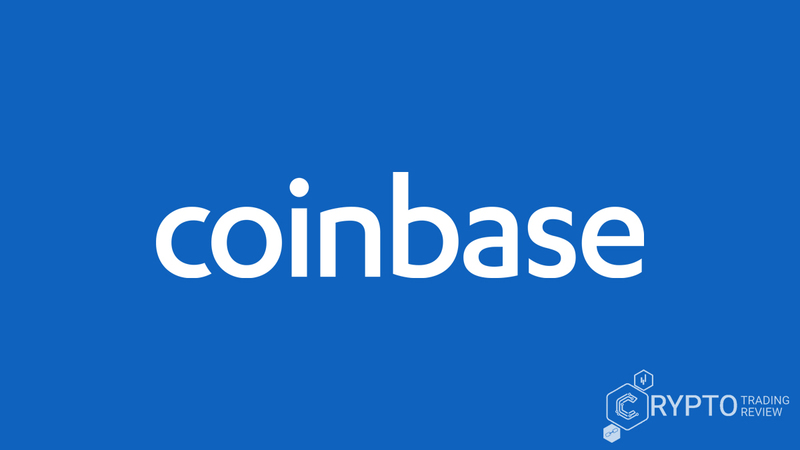 The card works in the same way as the much more famous Shift Card issued by Visa for Coinbase: it allows users to make payments and money withdrawals with cryptocurrencies at the current market price. All exchange users can also access crypto ATMs throughout Poland and make cash withdrawals. BitBay is continuously working on expanding its ATM network to offer its users better service and more flexibility. The best feature offered by the company is its excellent interconnectivity – across various accounts, platforms and payment methods. The MasterCard BitBay card is linked to your BitBay account and is just one example. You can also pay your bills and buy Bitcoin via SMS in a few short steps. You can use the platform on mobile and make instant international transfers. Next up: the bread and butter of our BitBay review: trading cryptocurrencies on the exchange. This is the info you don’t want to miss if you are unsure whether you should register with this company or not. BitBay’s trading platform is web-based first and foremost. In addition to the basic options of buying and selling, you can access BitBay’s trading view and take a look at the various price charts available. Under the charts, you will see the buy and sell offers, and further down, you can clock on the order book button. When you are looking to trade on this exchange, you are given two options: making an instant transaction or placing an offer. Making an instant transaction means buying or selling cryptocurrencies at the moment at the price currently determined by the market. Orders are a bit more complex. For example, to buy coins, you place an offer where you set a number of different parameters, such as the price you would be willing to pay and the amount of coins you want to buy. For even more functionality, you can choose to have a bot to trade in your stead. The most important guideline you can set is to have the bot buy or sell at a certain price. Very helpful if you don’t have the time to visit the exchange often to keep an eye on the prices. If any of this sounds good to you, you must wonder if there is a BitBay app to download, so you can trade on the move. We’re about to get to that part of the review, so don’t go anywhere. Today the majority of people access the internet via their mobile phones. Everything’s on mobile – and it’s no surprise, what with the revolutionary capabilities of newer mobile phones, what with the freedom they offer. Trading cryptocurrencies is also much more practical if you can do it on the bus, on your way to work, or in any other place or situation when you notice that the price is just right. The BitBay team is also aware of the importance of timing, which is why, although they haven’t launched their own mobile app, they do offer the option of using mobile devices for trading. This is possible because the company has integrated its exchange platform with TabTrader, a mobile app available on Android devices. TabTrader works as a terminal which features all of the major cryptocurrency exchanges. The app also has some nice little features like price charts, widgets and notifications. For Apple users out there, you can download BitBay Ticker, an app which allows you to monitor cryptocurrency prices on the exchange. The exchange rate for all of the available cryptocurrency pairs can be viewed by using this simple app. Ticker is an open source project which invites all of its users to add updates and improvements. Another similar app is the BitBay Alarm. In addition to monitoring prices and exchange rates, this app lets you calculate your gains (or losses if it comes to that), as well as set up an alarm for when the price of your cryptocurrency of choice starts to climb or fall down – depending on your preference. The BitBay Alarm is a very popular app, with good reviews (4.2 score on Google Play). In the upcoming section of our review, we’ll be going over the various BitBay fees you can look forward to, and you definitely do not want to miss that! By now, you’ve probably pretty used to the fact that, no matter which service you use, you’ll have to give up a portion of your earnings, the coins you purchase, or even just the money you transfer. So now, it all just comes down to which exchange seems to be the most honest, the most transparent about the fees it charges and the least likely to skin you and take what is rightfully yours. Luckily, this one seems to score pretty highly on all three counts. Also, there are no unnecessary or extortionate Bitbay fees, such as the dreaded account management fee. For trading, the taker fee ranges between 0.43% and 0.25%, depending on your 30-day volume, no matter the currency. Users who trade less than 1,250 EUR pay 0.43%, while the lowest fee is reserved for users who trade more than 875,000 EUR over a 30-day period. The maker fee is naturally lower, ranging between 0.30% on the high end, and 0.17% for big spenders. Making a deposit is completely free, except if you’re using the PLN Express service offered by the Polish Postal Service, available 24/7. In that case3, expect to pay 2% of the deposit. The withdrawal fee depends on the currency. For example, to withdraw EUR using the SEPA bank transfer system, you have to pay a fixed fee of 1.5 EUR, while withdrawing BTC from your BitBay wallet will set you back 0.0009 BTC. Some additional features might cost you a little extra, though, like the BitBay Card we talked about earlier. For example, the cost of issuing the card is 20 PLN (approx. 5 USD), with an extra 140 PLN for card maintenance per year. When you use the card, there are no BitBay fees on non-cash transactions, except for transactions and payments made in casinos (online or IRL), as well as betting, sweepstakes, lotteries, and similar games of chance – then you are expected to pay a fee of 5 PLN. The fee for making a withdrawal at an ATM using the card is 4 PLN, down to 1 PLN if it’s a Millennium ATM. Millennium ATMs are great for accessing some other features for free, such as checking your account balance, checking your last 10 transactions, and changing your PIN number. The great thing is, you can use the BitBay card outside of Poland to make cash withdrawals at ATMs and other points, but that service is expectedly more expensive, with a 2,5% fee, no lower than 8 PLN. Although none of these fees are exceptionally low, they are pretty much just what you could expect – similar to other comparable cryptocurrency exchanges. Either way, most people are OK with paying an average fee as long as the exchange offers quality service and a respectable degree of safety. And “Is BitBay safe?” is precisely the question we will attempt to answer in the upcoming section of our BitBay review. 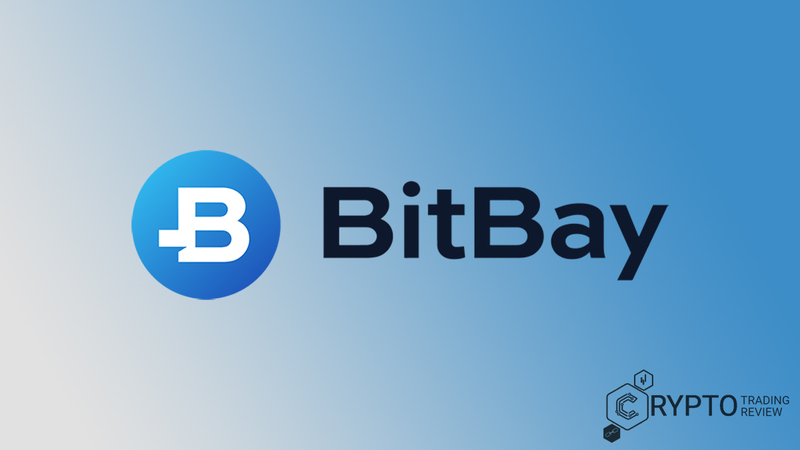 To ensure that all user accounts are safe and protected, BitBay has introduced a number of safety features that have become standard practice among cryptocurrency exchanges, as well as a number of additional, more innovative features. Google Authenticator, a mobile app which is used for generating codes. Each code can only be used once. Email codes, in case you don’t have or don’t want to use a mobile phone for logging in. A code for logging in is sent to your email address every time you enter your username and password. In a lot of ways, Google Authenticator is safer – especially since you need to use one more device. That way, if your laptop (for example) is stolen, nobody will be able to get to your BitBay account without your phone. Among other account actions, users can activate confirmations for all account changes. Anytime actions are made on the account, they need to be confirmed – also by using codes provided by Google Authenticator or delivered to your email address. Cold storage for all users’ funds. The offline cold wallets are not connected to servers on the exchange. The cold wallets are encrypted to prevent third-party access. All funds in fiat currencies are bank-insured. The servers are encrypted, as well as passwords, backups, databases, and all data. Additionally, to make sure nothing fishy happens, company employees review and authorize all withdrawals and deposits. All in all, is BitBay safe? Well, yeah, they adhere to all of the necessary procedures and they have enabled all of the standard safety measures and more. Still, safety is only one of the things that matter. To see how they score on some other points like making a deposit, read the following section. Unlike some exchanges, BitBay does not force you to make deposits only in one currency (usually a fiat currency like the USD). Those exchanges expect you to make a deposit and then buy cryptocurrencies on their exchange exclusively. 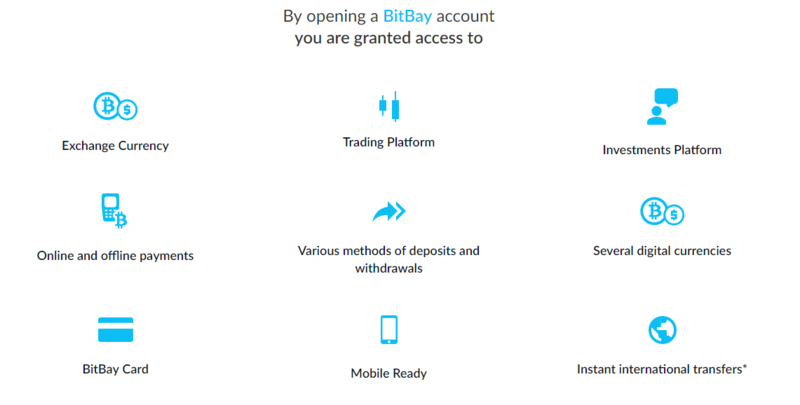 On BitBay, however, you can make a deposit in any currency (digital or fiat) that you can trade on the exchange, and use that currency to begin trading. So, if you have a lot of Lisk, you can use that to trade on BitBay. Making a deposit in any currency is free of charge. As far as deposits in fiat currencies are concerned, users can transfer money to their accounts through a bank or use their credit or debit cards. Polish users can make a cash deposit directly at a post office or at a Żabka Polska store (Żabka is a convenience store chain). Users who have verified their account and have a valid Polish phone number can get a BitBay card and make cash withdrawals from ATMs anywhere in Poland and abroad. All of these options seem very practical and attractive. Still, there have been cases, especially when an exchange becomes extremely popular all of a sudden, when the service delivered by the exchange is markedly subpar compared to everything advertised at one point or another. That is why a lot of users would like to read a BitBay review written by other users, who have tried things out first hand and know how things really work. That is exactly what we have in store for the upcoming section. 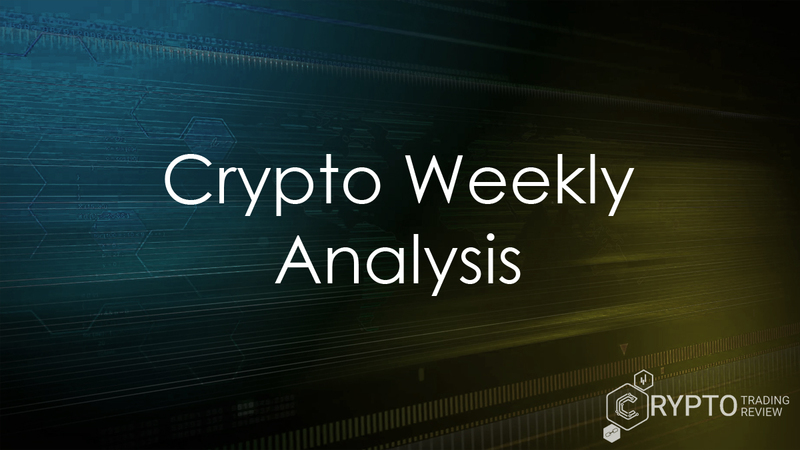 With these few quotes, as our BitBay review draws to a close, stick around for the final word with some key points that stand out the most. Do we start our concluding remarks with the pros or with the cons? Let’s make it a combination. The option of making deposits not only in fiat currencies but also in all cryptocurrencies you can trade on this exchange is definitely one of the biggest pros. The BitBay/MasterCard debit card is another amazing feature. When it comes to the cons, while BitBay did a great job with its TabTrader integration for mobile devices, it’s a shame that they don’t have an official app. Apart from that, there isn’t really all that much to complain about. Some users would like for BitBay to add some more coins, but 8 is already a nice number, and the exchange adds new coins on a regular basis as it is. All in all, the exchange is well liked, their customer service is excellent and is one of their biggest assets. For Polish users it is by far the best option out there. BitBay is an expanding cryptocurrency exchange with global aspirations. If they keep up the good work and add some of the functionality currently available in Poland to the global market, they will certainly do great. Details not provided. This is demo widget.